Grand Hotel à Villa Feltrinelli, to give it its full name, was originally the private home of Bob Burns, founder of Regent Hotels. 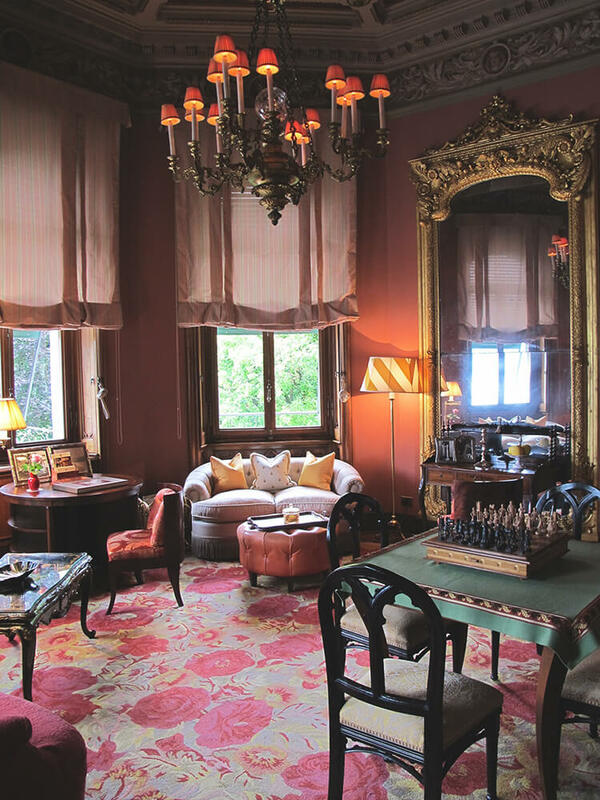 As the story goes, Bob purchased the derelict villa on Lake Garda (headquarters of Mussolini during World War II) in 1997 and set about restoring it at huge cost. He then invited some of his close friends to stay and was persuaded by them to turn it into an exclusive hotel. Fast-forward fifteen years, to our third stay at the villa: it just gets better and better. The cuisine (managed by executive chef Stefano Baiocco) has become more accomplished, more sophisticated. If you prefer simple Italian food, don’t let the Michelin star put you off. They will prepare anything you want here – just discuss your preferences upon arrival. Bob sold the property in 2006 but little has changed since then. Visionary GM, Markus Odermatt, who has been here from the start, is a man who really understands the art of extraordinary hotel keeping. Markus presides over a staff of 82, who take care of just 21 accommodations including 13 in the main villa, seven in the ‘annexes’ (Casa Rustica, Casa dei Fiori and La Limonaia), and the one-bedroom ultra-private Boathouse… the ultimate accommodation at Villa Feltrinelli. It would be difficult to nominate a favourite room. We have several. 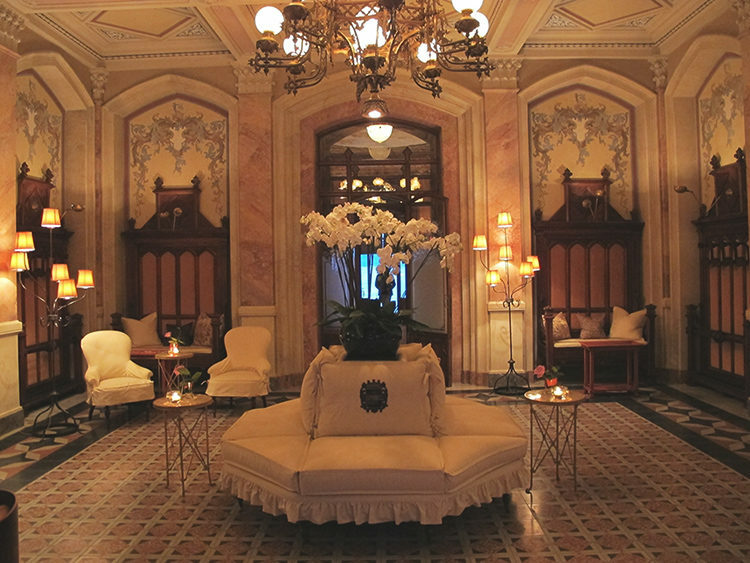 All of them are sumptuous, some grander and more formal than others. The staff are there when you need them, not at their convenience. So there are no pre-assigned tables or set mealtimes. 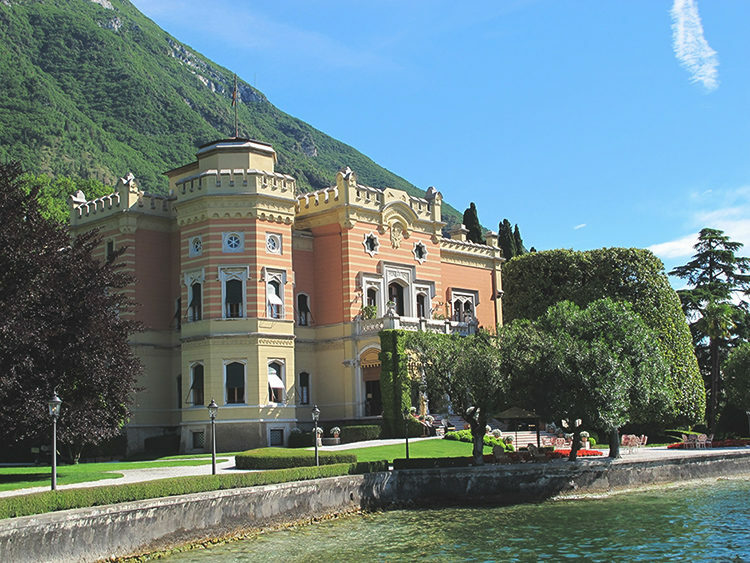 At Villa Feltrinelli you feel as if you are staying in your own private lakeside villa, with a team of lovely people to take care of you, at all times of the day. You eat wherever and whenever you choose… on the loggia, in the dining room, in your suite or on the magical lakeside terrace where the white shingle gets raked several times a day. Upon arrival, a maid will unpack your case and press or launder your clothes; a half-bottle of the best chilled champagne (Krug in our room) will be on ice, accompanied by a bowl of the sweetest strawberries or whatever fruit is in season (replenished every day). A generous range of full-sized Acqua di Parma is in the bathroom, along with the finest robes. A driver is on hand to take you to nearby Salò for shopping, or further afield in summer, to Verona for the opera. Boats are available for chartering when you feel like getting out onto the lake (we love the classic Riva Aquarama). A stunning heated pool is the centrepiece of the exquisite gardens, with huge old trees, perfect flowerbeds, pathways bordering the lake and jetties from which you can swim. Massage can be arranged either in your room or in a separate wellbeing suite. There is no gym, no spa, no additional restaurants, no designated concierge or reception desks. For recreation and exercise you can go lakeside jogging, swimming, or practise yoga on the lawns in the shade of a tree. Dinner may be taken out on the loggia on warmer evenings, the excellent food accompanied by the finest (mainly Italian) wines. Before dinner, nothing is more romantic than taking a glass of champagne on one of the heavenly candlelit lakeside tables, the moon reflecting on the still waters. And later, on returning to your suite, possibly the finest night turndown service you will ever experience completes a perfect day. Your preferred music, selected from at least eight soundtracks, softly playing; a choice of still and sparkling water at your bedside; your bed turned, candles burning, the blinds drawn or open, just as you requested. Pure perfection. Nothing gets forgotten here, nothing is ever overlooked – even the Fortuny and Rubelli fabrics are replaced regularly. 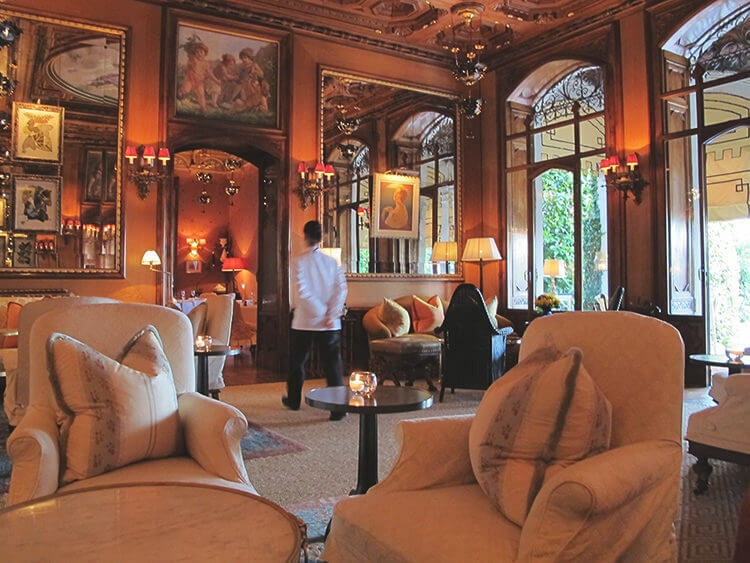 If Nota Bene were giving hotel awards, Villa Feltrinelli would definitely be high up on the shortlist of the world’s finest, if not the outright winner. We know them well at Grand Hotel à Villa Feltrinelli. We also know Italy exceedingly well. If you are thinking about August or September somewhere unforgettable, contact us.